CLEVELAND - LeBron James added another memorable performance to his resume Wednesday. 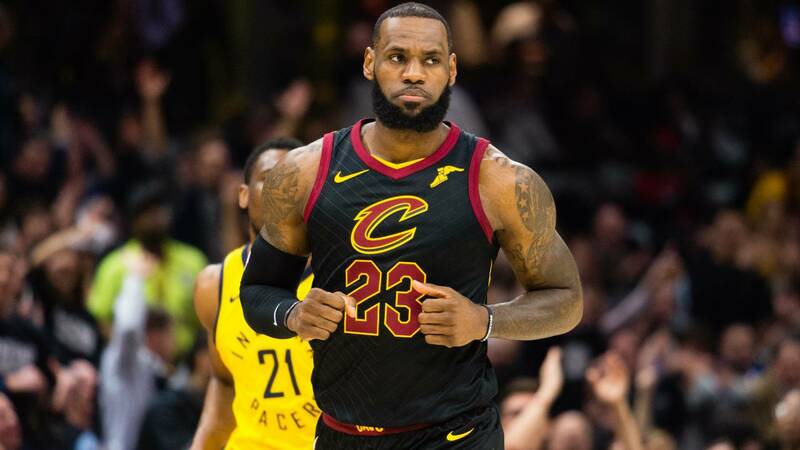 James led the Cleveland Cavaliers to a 100-97 win over the Indiana Pacers in Game 2 of their first round playoff matchup. He finished with 46 points, 12 rebounds and five assists. He scored the first 13 points of the game, and the first 16 points for the Cavaliers. The most impressive part of his dominance was his efficiency from all over the court. James made 17 of 24 shots from the floor, including 40 percent from 3-point range. However, his dominance Wednesday shouldn't make the Cavaliers feel confident about the remainder of the postseason. For the first time in his career, James played in all 82 games of the regular season. He also led the league in minutes played for the second consecutive season with just under 37 minutes per game. At 33 years old, James has not shown any signs of slowing down, but his supporting cast has not been this bad since his first stint with the Cavaliers. He has been leading his teammates in most statistical categories for years. However, the absence of another ball-handler and scorer like Kyrie Irving or Dwyane Wade forces head coach Ty Lue to keep James in the game as long as possible now that every game matters. He played 43 minutes in their 98-80 loss in Game 1; almost 10 more minutes than the next-closest Cavalier. The Cavaliers went through a complete roster makeover since last year’s NBA Finals loss to the Golden State Warriors. Irving was traded to the Celtics for Isaiah Thomas and Jae Crowder who were then traded away mid-season. Now, the only remaining players from last postseason’s team are James, JR Smith, Kevin Love, Tristan Thompson and Kyle Korver. Thompson has only played two minutes in this postseason. The Cavaliers have had issues finding consistency from their bench unit. In Game 1, Jeff Green and Rodney Hood started the game but were a combined 4-for-15 shooting. Lue started Korver and Smith instead for Game 2. Smith finished with just five points, but Korver scored 12 points all from 3-point range. The Pacers' bench outscored the Cavaliers' bench 25-16 in Game 2. James is historically dominant in the first round of the playoffs, but having to average over 40 minutes already is not ideal for his durability going forward. He has not played more than five games in a first-round series since 2008. If this series goes to six or seven games and the Cavaliers continue to advance in the playoffs, James may be in store for the most minutes played in his career. That usage and anything short of an NBA Finals appearance could be enough to steer him away from Cleveland in free agency this offseason. Game 3 of the series is in Indiana on Friday.